How are the Douglasville Convention & Visitors Center (CVB) and Douglasville Welcome Center different? By its very definition a Convention & Visitors Bureau (CVB) promotes tourism, encourages groups to hold meetings and trade shows in its city, and assists groups before and during meetings. While a Welcome Center is a physical location that provides tourist information to the visitors who tour the place or area locally. In other words a Welcome Center distributes tourist information about the area, where a CVB promotes tourism to the area. Conveniently located in our Downtown Historic District, the Douglasville Welcome Center, which was named a Georgia Regional Visitor Information Center (RVIC) in 2010 (see previous blog), is the physical home for the Douglasville Convention & Visitors Bureau offices. When you step inside, the Welcome Center, you are instantly met with a warm, inviting, atmosphere, where you will find racks of information on different cities in the state, as well as attraction information on area museums, theme parks, and events. A question we hear most often from tourists is “Are there any events coming up?” or “What is there to do?” Another commonly asked question is “Where is a good place to eat?” It is our job to guide them in the best direction based on what they are looking for. From giving directions to helping visitors choose their lunch destinations, the Welcome Center is here to provide tourists the best information we can. While tourist information is a large part of the Douglasville Welcome Center’s daily operations, the Douglasville CVB does its best to hold events and activities that will attract visitors to Douglasville and Douglas County. In doing that, the CVB holds several informational seminars and workshops, as well as family events. These events include: Family Reunion Workshops, Bridal Showcases, Friday Night Flicks, and Pedal for Your Palate, as well as other events through out the year. Held twice during the summer, Friday Night Flicks is an enjoyable family event, held on O’Neal Plaza. A large inflatable movie screen is set up and families are encouraged to come enjoy the movie! Pre-movie entertainment is on hand to engage the children, and what movie experience isn’t complete without freshly popped, popcorn?! Pedal for Your Palate is a bike ride that has a little something for everyone. Typically held in the fall, this event is slated to become a spring event for the first time, in 2015. Route options typically include a family friendly 5-mile, course, as well as a 25 & 62-mile course for more adventurous riders. In addition to events and seminars, the Douglasville CVB also offers discounts and deals! Usually from March to September, we have discounted one-day admission tickets to Six Flags!! (While supplies last). We also have year round discounted tickets to the Georgia Aquarium through our website. Go to www.georgiaaquarium.org/douglasvillecvb. The Douglasville Convention & Visitors Bureau is also your place to find the perfect gift. 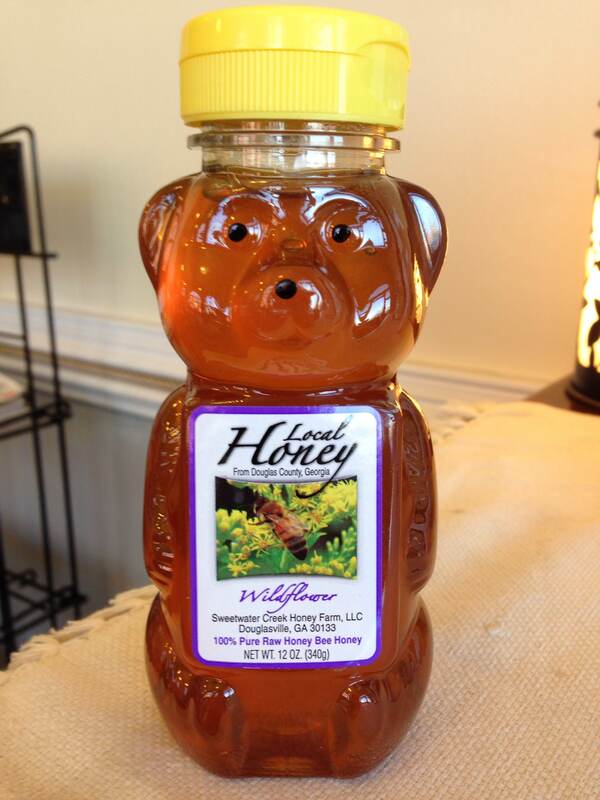 From locally made soaps and honey, to Douglasville souvenirs. In closing, here are a couple key facts to keep in mind, about the Douglasville CVB & Douglasville Welcome Center. 1) The Douglasville CVB promotes the area. 2) The Douglasville Welcome Center distributes information about the area. 3) The Douglasville Welcome Center is the physical home for the Douglasville CVB offices. 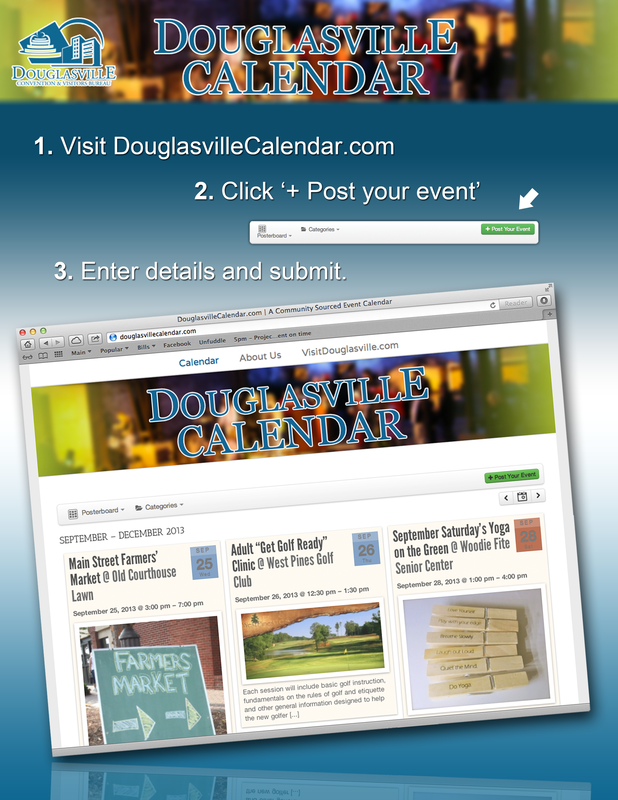 Staying up to date with everything happening in Douglasville is easy with the help from our social media pages, (see listing below), and our Online Community based Calendar, found at: http://www.douglasvillecalendar.com. Residents can search the calendar for activities or even add events of their own! Join the conversation! Connect with us on Facebook, Twitter, Instagram, & Pinterest.